Brugmansia Peaches and Cream Variegated is one of the more colorful forms of Brugmansia, with variegated leaves that have blotched of white. The flowers blooms yellow and turn orange. The flowers on this form have a fragrant smell at night. 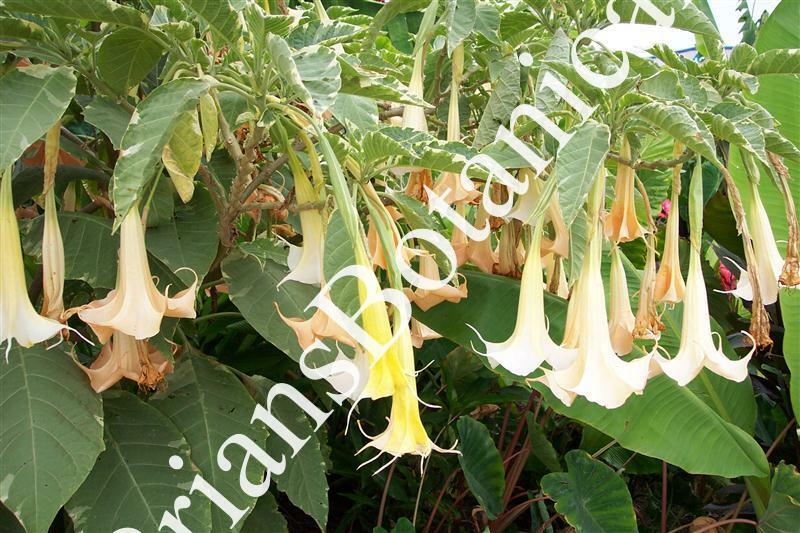 Brugmansias grow fast and produce huge trumpet like flowers that are 8 to 10 inches long. Burgmansia’s are easy to train, you can cut the plant to look like a umbrella or a large bush to tree.